Welcome to Stillwater, the Birthplace of Minnesota. Come and see what everyone is talking about in historic downtown. 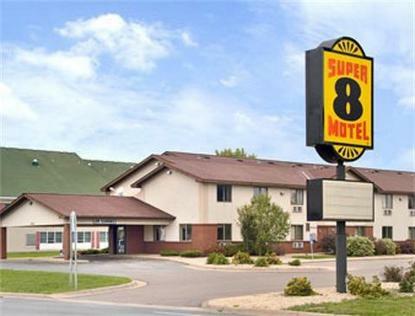 While visiting, enjoy your stay at the Super 8. Whether traveling on business or pleasure, we have a room that will satisfy your needs.Spend the day shopping historic downtown, dining, or boating the scenic St. Croix River. Our guest rooms have WiFi, hairdryers, in room coffee, cable TV with HBO, Free Super Start Breakfast. Our oversized suite includes a pull-out sofa, microwave oven and refrigerator. After checking in, visit one of several local restaurants, all of which are within blocks of our front door. Year around local events and attractions.Large Vehicle parking. Refrigerators available upon request.Our staff is always ready to greet you with a warm smile and a friendly hello. We look forward to seeing you along the way.Check In Time is 3:00 PM Cancellations 4:00 PM Reservations Require A Credit Card Guarantee. Groups Booking of 5 or more rooms are instructed to call property directly.